Mounted on tractors and wielding flares, angry farmers came from all corners of France to say to Chinese investors: get off our land. More than 100 farmers swarmed on a Chinese-owned field in the Indre region of central France on Wednesday, occupying it in protest at what they say is financial speculation. 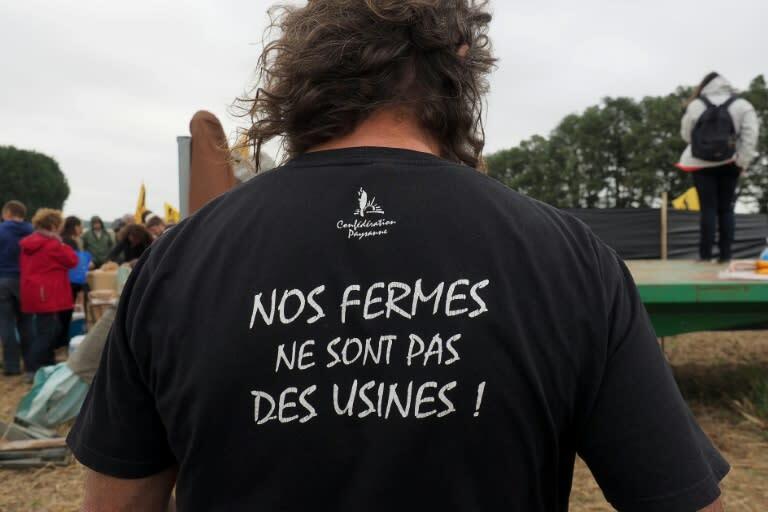 Waving the flag of France's Farmers' Confederation, they filled a seed drill with rye and sprayed grain in a demonstration they said symbolised the need to "take back the land for the farmers". "The land is there to provide for farmers' families and to produce food," said Laurent Pinatel, spokesman for the Farmers' Confederation. "The owners have come here to make a profit, to speculate on agriculture while monopolising the land." Chinese consortium Hongyang bought 1,700 hectares (4,200 acres) of land in the Indre in 2016, growing wheat for the international market. The group has also snapped up 900 hectares in the nearby Allier region, adding to mounting worries in rural France that their traditional family ownership model is under threat from a huge rise in investor purchases. Chinese investors have spent at least 76 billion euros ($89 billion) on French land since 2010, according to figures published by the American Enterprise Institute and Heritage Foundation. As tensions rose at Wednesday's protest in the hamlet of Murs, a farm worker employed by the Chinese landowners punched both a protester and a journalist in the face. 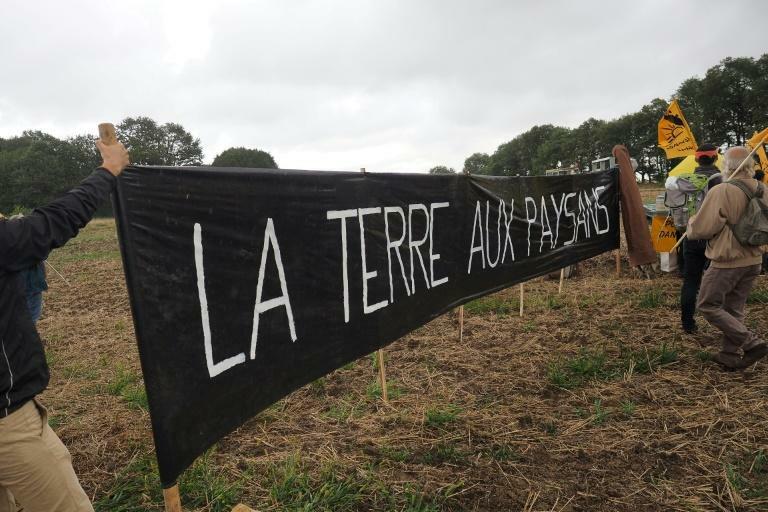 "We have the same problem in the north between Saint-Omer and Dunkirk," complained Jean-Luc Bardel, a farmer who travelled down for the protest, saying he had "barely" managed to buy three hectares due to investors buying swathes of land. "In the agricultural colleges loads of young people in rural areas want to return to the land. But they can't find any, or it's much too expensive, because consortiums have driven up the prices." Some farmers -- particularly those nearing retirement -- have been enticed by rising prices to rent out or sub-let their land to large companies, he said. "Farmers' pensions are so weak that we can't really blame them, but it's not great," he added. Nicolas Calame, spokesman of the Farmers' Confederation in the Indre, said the region was "emblematic" of a global problem. "The problem is not that the owners are Chinese. It's also scandalous when the French monopolise land in Ukraine or Poland," he told AFP. The farmers urged the government to draft legislation restricting the amount of land major investors can buy up. President Emmanuel Macron in February announced that he would impose new restrictions on foreign purchases of agricultural land. Agriculture Minister Stephane Travert said Wednesday that a parliamentary commission was investigating the problem and that the government would announce "concrete proposals" once its work was done.